From your dashboard, go to your app card and click push. Select and type your campaign. In the review screen before clicking send, click "Send a test push" button on the top-right corner. 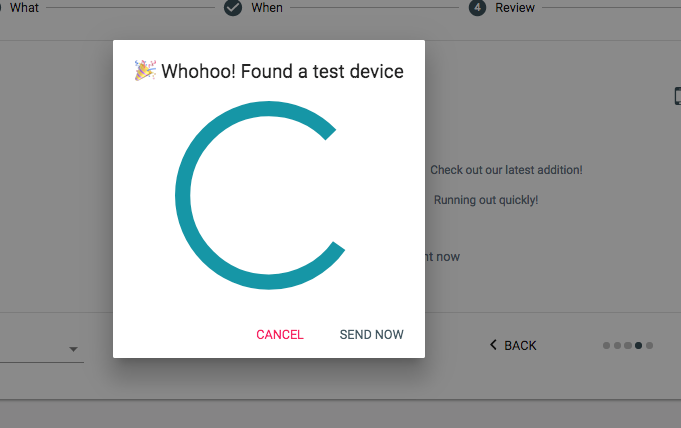 If you have already defined testing devices, the message will be sent to those devices immediatly. If not you will be prompt to define new testing devices. 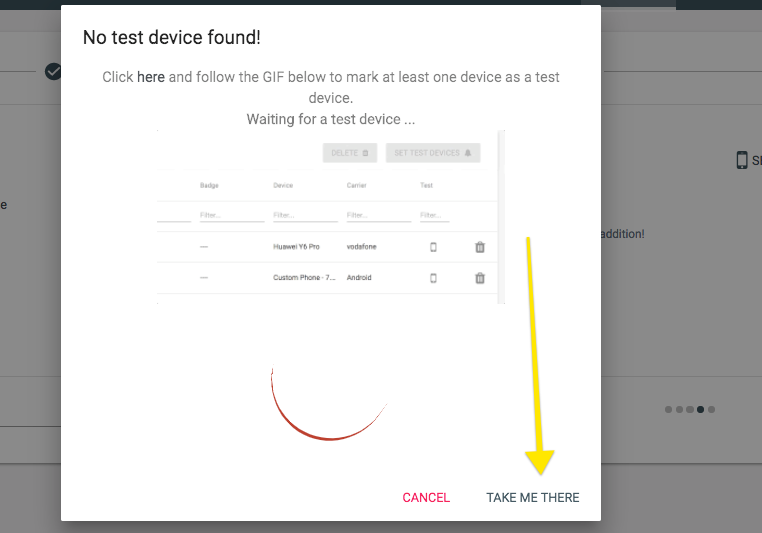 Click "Take me there"
Find your device and click on the phone icon under testing. Now go back to your push campaign composer you should get a confirmation that your device was detected.